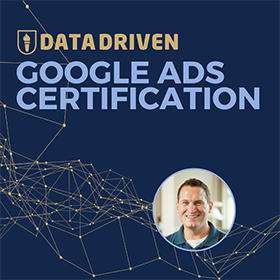 As someone who has taught Google Analytics certification courses for the past 6 years, I receive questions nearly every day asking what to do about missing keyword data. At first, I said that we should hope that Google would change their mind and start providing Keyword data again. Time went on and wishful thinking turned into denial, denial turned to conspiracy theories and then came closure: I finally accepted that our keyword data wasn’t coming back. We can either continue to whine about missing data or we can use this loss of data to start focusing on other ways of proving our value. My presentation focused on ways that we can show value in a much more strategic way after the easy reporting opportunity was gone. In essence turning Google lemons into sweet sweet analysis lemonade. Now that we are completing the second full year of (not provided) keywords, it’s safe to say that keyword data will not be back any time in the near future. While this hurts us as SEOs, analysts, and any other role that relied on this keyword data to make business decisions, it’s time that we think about moving on. Here are my top tips for moving beyond missing keyword data and upping your analysis game along the way! Earlier I mentioned that I was able to gain closure during my (not provided) coping process. This closure came easier than I thought. All I needed to do was ask the founder of a successful company what they thought about keywords missing from Google Analytics. Their response? Seriously. Ask an executive that same question and you will get the same response. They didn’t care about keywords back when they were readily available in your analytics tool and they don’t care now. They simply are not concerned about the topic. What are they concerned about, then? For the most part they are concerned about running a consistently profitable business. They have bigger things to worry about than missing keyword data. Just because executives don’t care about missing keyword data doesn’t mean it’s not a thorn in our sides. The analysis we were used to doing is now going to take anywhere from one more click to several more hours to pull together. We are going to need to adjust our approach at some point along the way if we want to continue to deliver positive results. 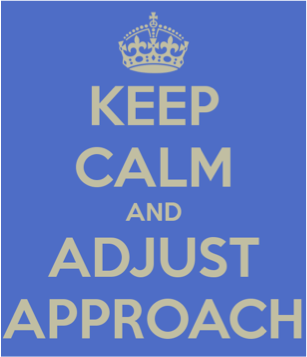 Adjusting your approach should be done at both a tactical and strategic level in order to provided the best results. We will use the tactical adjustments in order to continue to deliver quality results from our SEO efforts and we will use introduce strategic thinking in order to translate our efforts into a language that executives understand. 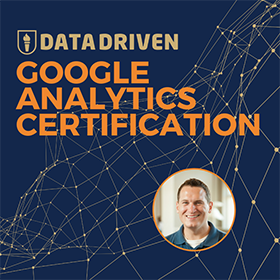 Many of the tactical examples are already available to you in Google Analytics, with modest incremental effort needed to replace insights lost from granular keyword data. The strategic examples will require both a chance in thinking and some work to pull off. It will also provided the most value. 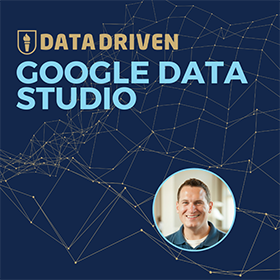 If these existing reports aren’t sufficient, you can even go as far as to start inputting your own useful data into Google Analytics as a way of augmenting your current reports. With the introduction of Universal Analytics, you can now define and collect data for up to 20 custom dimensions and 20 custom metrics. That is 40 new opportunities to get new data into your account! The folks at Tatvic created an excellent guide for the many ways that you can utilize the new custom dimensions feature in UA for your SEO reporting needs, with enough material to cover a 3-part series. 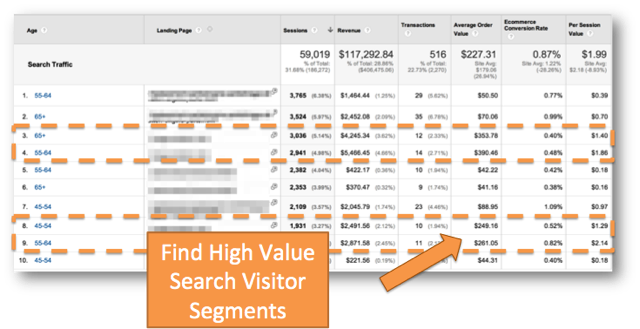 Check out part 2 for information about including your on-page SEO attributes in your Google Analytics reports and you can move on to the other sections from there. For the first time since I became a beta tester for Google Analytics in 2005, I found myself saying “how did I live without this?” about the new Demographics feature in GA. I simply love the analysis opportunities that come from layering visitor demographic data on top of my customer acquisition data. Why am I so psyched about demographics? Because demographics make searchers feel like people, and I feel much more comfortable marketing to people than I feel marketing to the Google algorithm. By understanding the age and gender of website visitors, we can write in a voice that they will understand. In essence we can write to a persona instead of trying to reach everyone at all times. Here is an example: Say that someone comes to your website searching for blue widgets. That doesn’t mean much, does it? What about when a 55-64 year old female with an affinity for TV Soap Operas visits your Blue Widgets web page after clicking on an organic search result? With this information you can start to paint a picture in your head of exactly who you are targeting. When we know who we are marketing to, we can do a better job of marketing to them, right? Think about it this way: if Google didn’t take away keyword data, then you never would have received the demographics reports in Google Analytics. While I have no proof that this is the case, which one would you rather have? A career-limiting keyword report or enough demographic data to find the missing link with your customers? I hope you chose the latter! This is when I usually start to get a little preachy, but I’ll try to keep myself in line for the purposes of this article. If we humanized the lifespan of our industry, SEO would be a teenager. An awkward pimply faced teenager who is rebelling against our parents (Google) because we are raging with hormones and drank too much Mountain Dew last night. We desperately want to be treated like adults, and adults desperately want us to join the ranks of society as well. In order for that to happen, we first need to grow up and start behaving like an adult. Once that happens, the fun begins. 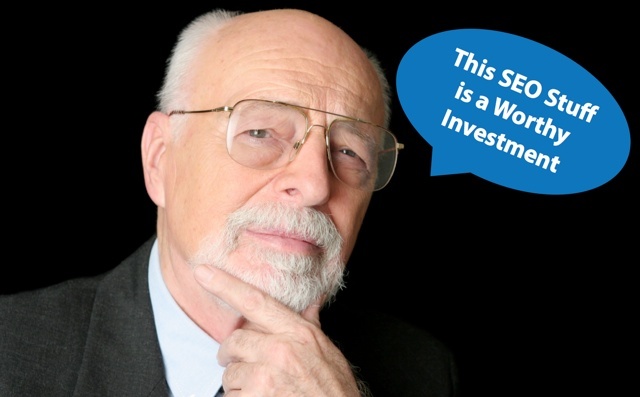 Like teenagers, SEOs often have very little fiscal responsibility for their efforts. Because organic search results are a black box, we would never put our neck on the line and try to predict or guarantee future performance. Without proof of performance, we are given modest allowances (budgets) to take care of the essentials, but never enough money to do anything bold. How do we secure bigger budgets? By proving that we are responsible with the money we are given. While the mechanics of calculating the value delivered by SEO efforts depending on your website objectives (quite easy for e-commerce to fairly difficult to lead generation), the metrics that are most important to executives are the same: Revenue, Profit and Return on Investment. 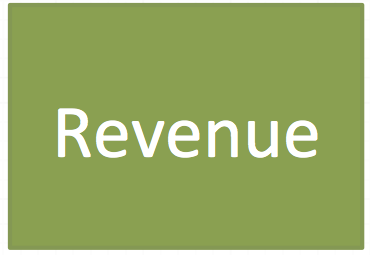 Revenue is simply the amount of money that is brought in from your efforts. This is how much money is made as a direct result of SEO. It may also include assisted sales revenue if your company employs advanced attribution modeling techniques. Executives often have objectives to grow top line revenue for their business by X% for the year. This objective is often tied to the way they are compensated. When they reach their goal they receive their full salary and standard bonus opportunity. When this number is exceeded, they receive an significantly higher bonus. Beating revenue expectations in a given quarter or fiscal year can generate a bonus so large that it could be used to buy a Tesla Model S or be used as a down payment on a house. Knowing that the objectives of an executive are aligned with revenue growth, wouldn’t you want to find a way to showcase what you have done to help meet those objectives? Keyword data isn’t going to pay for a pool in their back yard, but your revenue growth might. If revenue is the Yin for executives, profit is the Yang. Top line revenue growth is important, but if it the revenue is earned with excessive expenses it can cause more harm than good. This is why a business often has objectives of both growing revenue and hitting a target for profit. In other words, you want to grow revenue, but not inefficiently. Executives often achieve part of their bonus for hitting revenue goals and part of their bonus for hitting profitability goals. Growing revenue without focusing on profit is the quickest way to lose your shirt. I learned this the hard way and shared my learnings earlier this year. Return on investment (or ROI) is a measure of the efficiency of the revenue and profit efforts we are discussing. If you are looking for an indicator of whether you are properly balancing revenue and profit, understanding the ROI of your efforts is a great reality check. First of all, it is hard to lock down a date for when the efforts should be credited with revenue. Since SEO efforts can often provide traffic and revenue for websites well into the future, it is not fair to assign today’s value to tomorrow’s results. 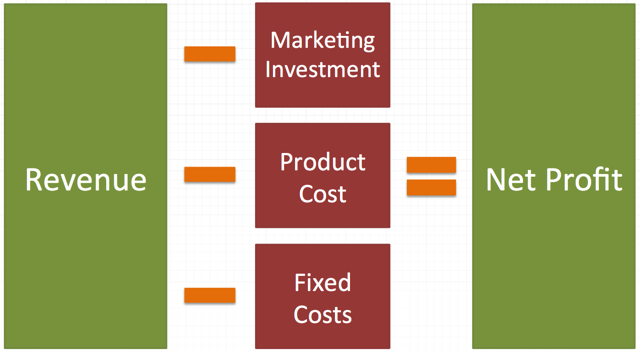 This is where understanding customer lifetime value becomes very important. Secondly, understanding the profitability of SEO involves knowing both the fixed costs of your business (employee salaries, office overhead, etc. ), it also involves understanding the margins of the products you are selling. Not many companies are willing to provide this level of information to someone with SEO in their job title. 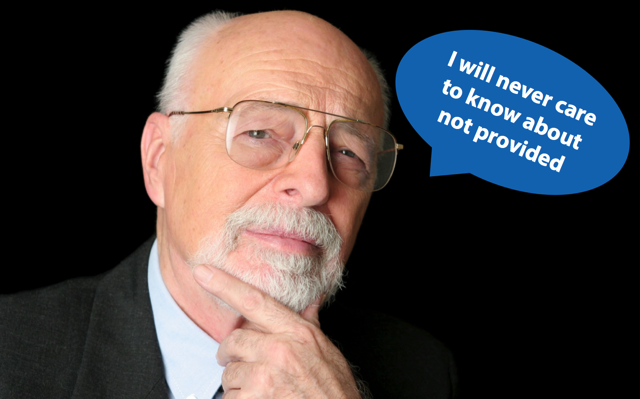 Third, our tools of the trade are not trained to analyze this level of business maturity. To put things in math terms, our tools are providing us with answers to algebra problems when we really need advanced calculus. It is not a trivial effort to calculate the revenue, profit and ROI of your efforts. It’s not easy to calculate these metrics, but you’ll surely have a lot more time on your hands if you no longer have to pull keyword reports, right? If you’ve gotten this far, I salute you. I also want to reward you for your reading efforts by offering something with few strings attached: I would like to give you access to download a template from my sister-site, Knowledge Land, that you can use to get started in your SEO ROI. Simply head over to download the SEO ROI Template from Knowledge Land. When you visit, you will be asked to sign up for an account, which will get you plugged in to the community. Those of you who sign up for the free Knowledge Land account will quickly see that there are many more lessons of this nature available to you and a series of emails will help you get acquainted with the site. We need tactics to survive in SEO. Without them, we would never be able to produce the results needed in order to generate a significant source of revenue for our business. With that said, until we start presenting our results in a strategic way, we may never get the budgets necessary to implement all of the tactics that are needed for success. For this reason alone, strategy always needs to be considered whenever decisions are made. Who knows; if you start thinking about the strategic value of your efforts before sweating the tactics, you may become an executive soon enough. Here’s to big brains making big bonuses!